The SilverGEO™ high quality duel magnifying lens offers outstanding optics housed a strong metal body. This field lens has a 10x and a 20x. It comes in a neat display case. 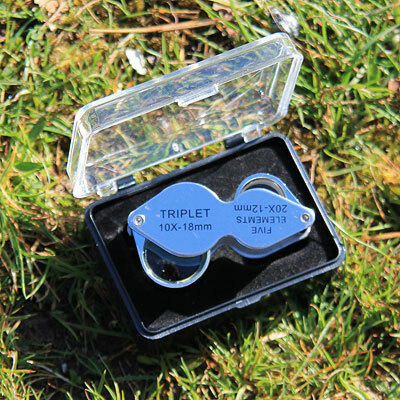 The loupe has a triplet 10x lens and a 20x five- elements lens.